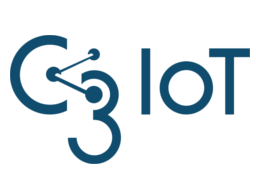 C3 IoT provides a next-generation enterprise platform (PaaS) for the rapid design, development, and deployment of large-scale big data, AI, and IoT applications. By leveraging telemetry, elastic cloud computing, analytics, and machine learning, C3 IoT brings the power of predictive insights to any business value chain. C3 IoT also provides a family of turn-key SaaS IoT applications including predictive maintenance, fraud detection, sensor network health, supply chain optimization, and customer engagement. Large enterprise customers use C3 IoT’s prebuilt SaaS applications or build custom applications using PaaS, with a combined total of 100 million sensors under management of the C3 IoT Platform today.